Your tailgate table is the perfect blank canvas to show off your spirit (and style). 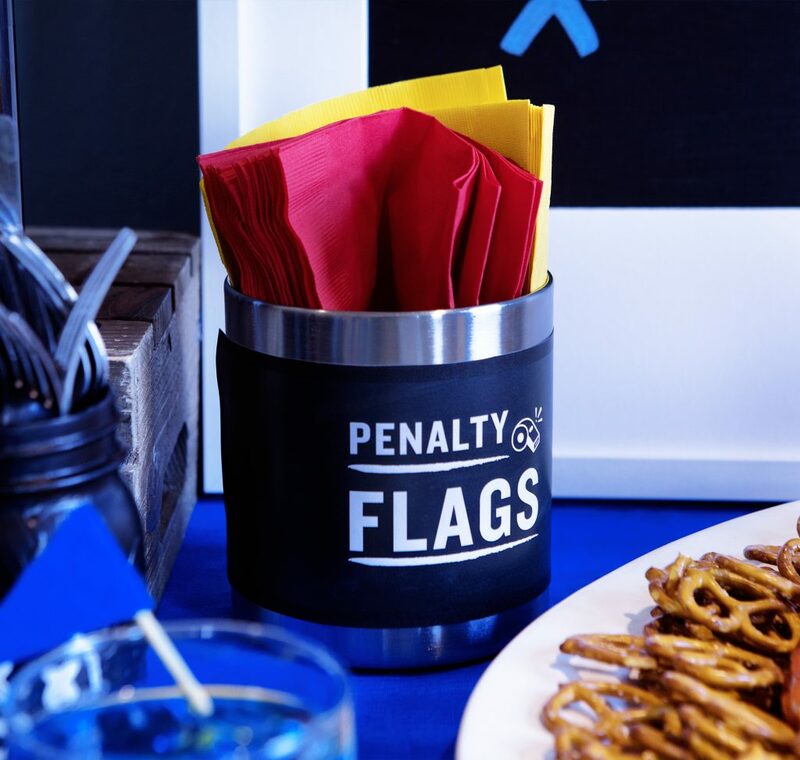 Get artsy with your apps and unique with your utensils, each new addition is a chance to make your tailgate stand above the rest. Don’t know where to begin? We’ve compiled our top three favorite DIYs that are incredibly simple, but make a huge impact. 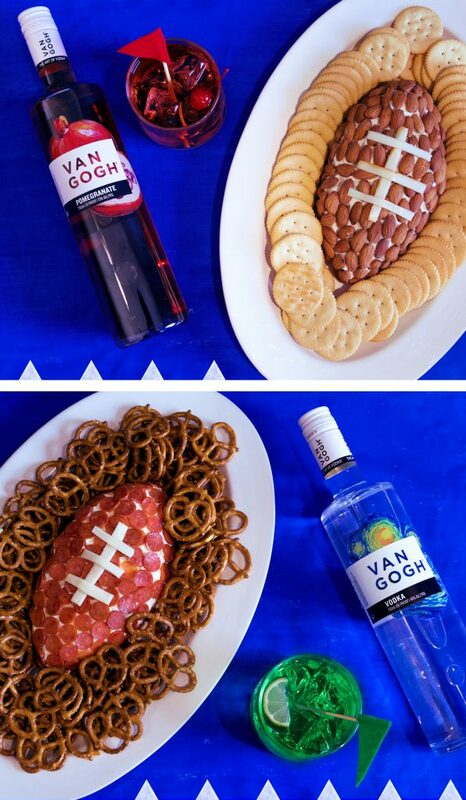 Pair it with our custom team cocktails and your tailgate will be a touchdown. 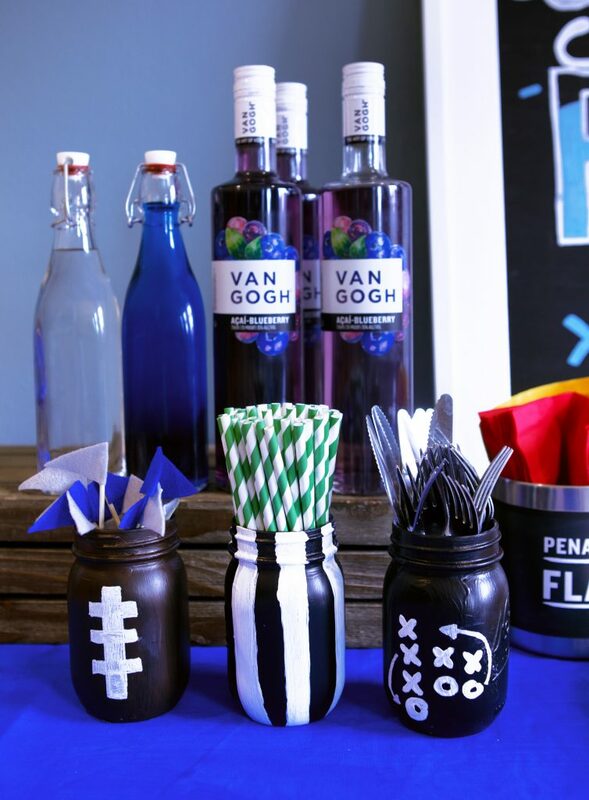 Give your utensils a sporty edge with these football-themed mason jars. Using a foam brush, apply a light coat of chalkboard paint onto each jar. This will give it a smooth, chalky finish. Allow an hour for the paint to dry. Once dry, apply painters tape for striped sections. Time to paint! Using acrylic paint, apply a coat in desired sections. Allow the coat to dry before applying a second coat. Once your base color is dry, remove the painter’s tape and fill in that section with the desired colors. Again, the paint may take two or three coats- allow to dry before reapplying. Show off your creativity with a small bite that makes a big impact. Mold it into any shape you want- a football, the mascot your team logo. The possibilities are endless. Add edible details. Cover in almonds or pepperoni, add strips of cheese for stripes or threads. 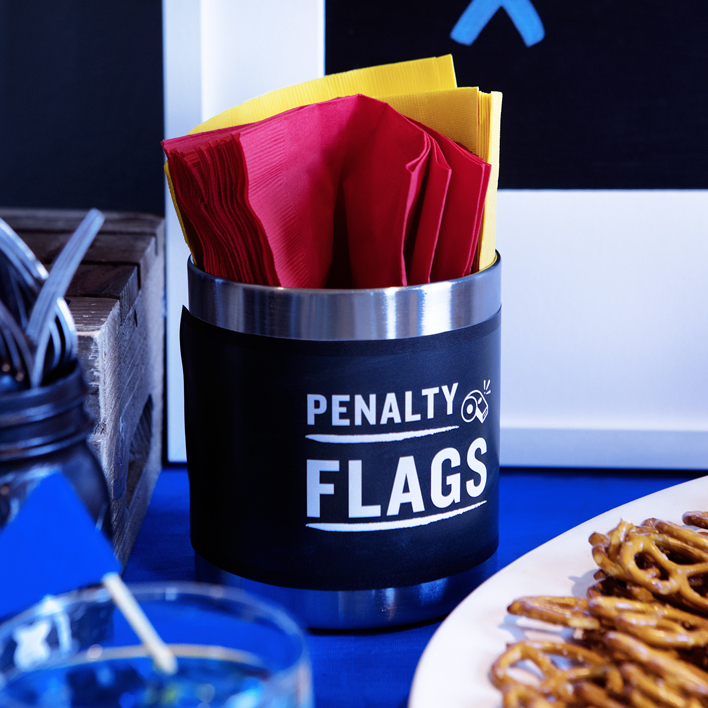 Blow the whistle on mess and keep your party under control with red and yellow “penalty flag”. Want more tailgate tips? Check out our Tabletop Masterpiece and our Custom Team Cocktails.